The causes could be many. The issue could be with the file, or the system. 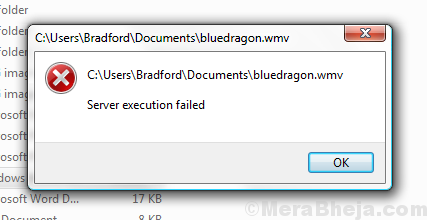 It might be because of an update which doesn’t allow WMP to recognise the file type. When I say Windows Media Player is the primary media player for Windows 10, it simply means the better media player that Microsoft provides in Windows 10 systems by default. The other 2 media applications are Groove music for audio and Movies & TV for videos. Try playing your file in Windows 10 with the other 2 applications and check if it works. This is to isolate whether the issue is with the file type or system. 3] Exit Command Prompt and restart the system. 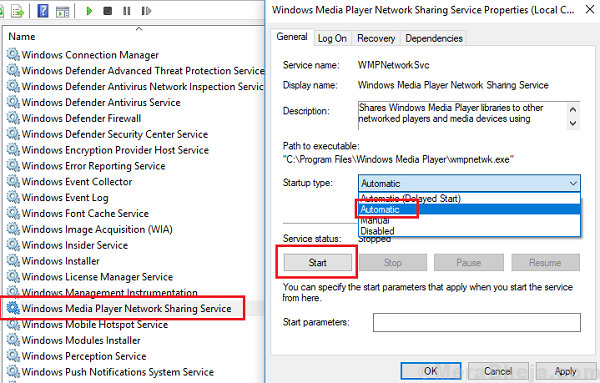 Since Windows Media Player is a Windows store app, the Windows Store app troubleshooter could be helpful in identifying and resolving the problem. 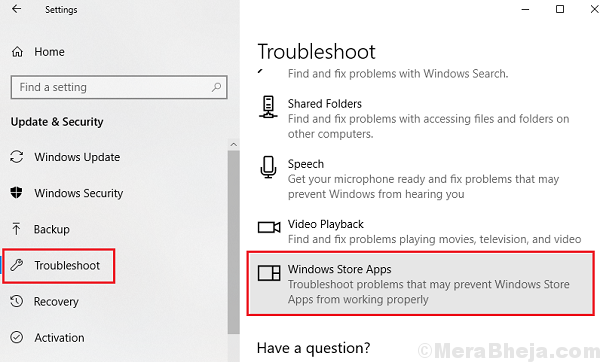 3] Select the Window store apps troubleshooter and run it. A clean boot could help identify an interfering startup program which could be causing the issue. Here is the procedure to clean boot the system. At times, some codecs are not supported by the Windows Media Player. If Windows wishes to include those codecs, it would send them in form of a Windows updates. Thus, keeping Windows updated is a good practice to avoid such errors. Here is the procedure to update Windows. Top anti virus software are trying to sideline Windows Media Player and this is a well reported fact. In case that is what causes the error in your system, you might consider adding Windows Media Player to the exception list of your anti virus software. If merely adding Windows Media Player to the exception list doesn’t help, you might consider temporarily disabling the anti virus and checking if it helps. 2] Go to Programs and features. 3] On the list on the left-hand side, select Turn Windows features on or off. 4] In the list, scroll to Media features and expand the list. 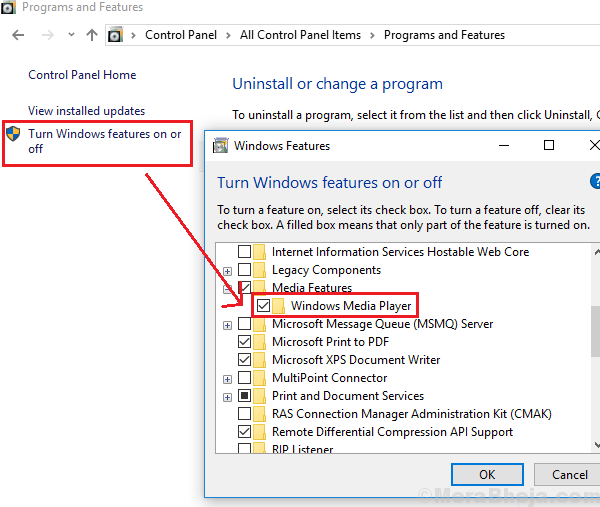 5] Uncheck the checkbox corresponding to Windows Media Player. 2] In the list which is alphabetically arranged, locate the Windows Media Player Network Sharing service and right-click on it. Select Properties. 3] Click on Stop to stop the service. Wait till it is completely stopped and the same is mentioned in the service status. 4] Now change the Startup type to to Automatic and now click on Start. 2] Go to Apps and find Java among the list of apps installed on the system. 3] Select Java and click on uninstall to remove it from the system. 5] Now download Java from its website and install it on the system again. This exhaustive troubleshooting guide should be helpful in resolving the problem. If not, you might consider using a 3rd party media player.